Mix of nostalgy with modern aspects. Plataform game. Beautifull graphics. The game tell the story of a Sloth who is the only chance to Slow Land salvation. 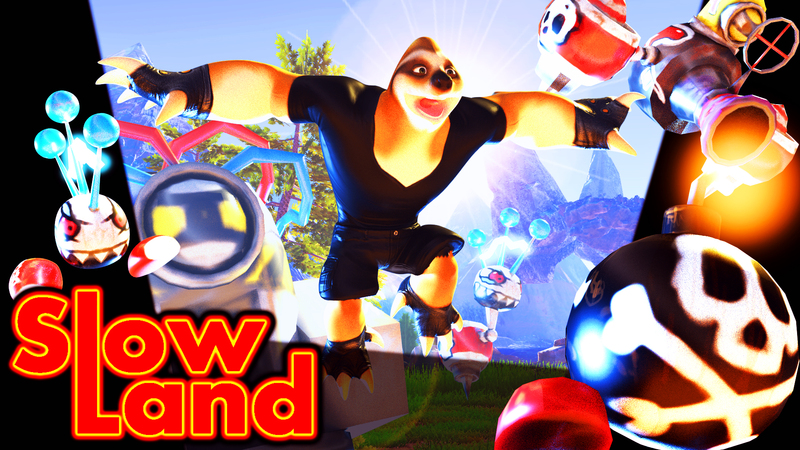 Slow Land, the Land of Sloths, it's been attacked by dangerous robots. Our protagonist can figth with them and control them with a special remot control, and use them to accomplish his objectives. The game comes a fluent and dynamic gameplay with some puzzles and secret items to find and the possibility of upgrade the main character.